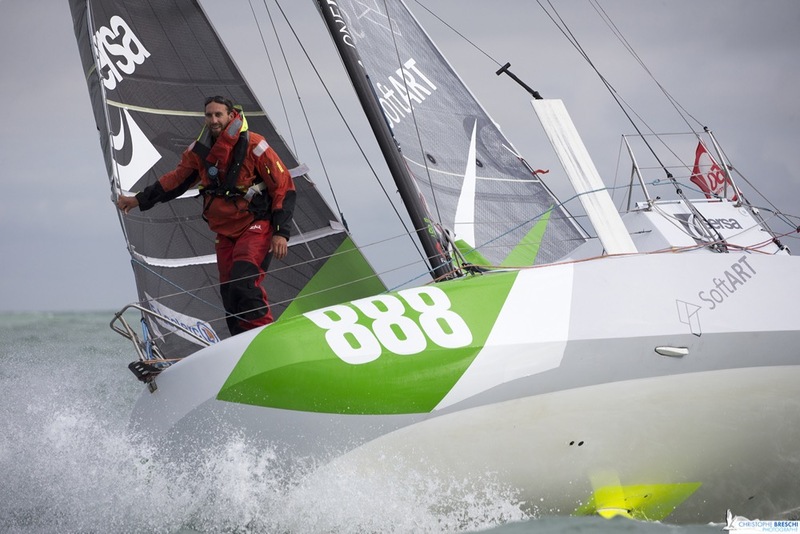 Swiss sailor Simon Koster is all set for his third Mini Transat, the second onboard his prototype SUI 888. Unlike 2015, when he lacked time to prepare and get to know his boat, for this edition he has had time to train and prepare his cutting edge prototype. He has simplified it and improved its performance. Simon finished in the top rankings during preparation races in the past few months, making him one of the favourites of the race. “My aim is to battle it out with the leaders, which I was unable to do in 2015, since I had to slow down due to technical issues. If I can remain in top shape until the end, it should show in the results! Amongst the favourites are Ian Lipinski, who has had a dream season, Jorg Riechers on his new boat as well as Erwan le Mene who is sailing the boat which has already won in 2015. Romain Bolzinger and Charlotte Méry should not be forgotten either. The winner will be known on arrival in Martinique, when the times of both legs will be cumulated. Two days before the start, Simon completed all the tasks required by the race organisers: checks on the boat, safety equipment, measurements, sails… (video available here) He is enjoying his last moments in France before taking to the seas. If all goes as planned, his third transatlantic race on a Mini will lead to other offshore races on larger boats in the coming years. Future plans to continue to proudly fly the Swiss flag abroad! This entry was posted on September 29, 2017 by simonkoster. It was filed under Uncategorized .